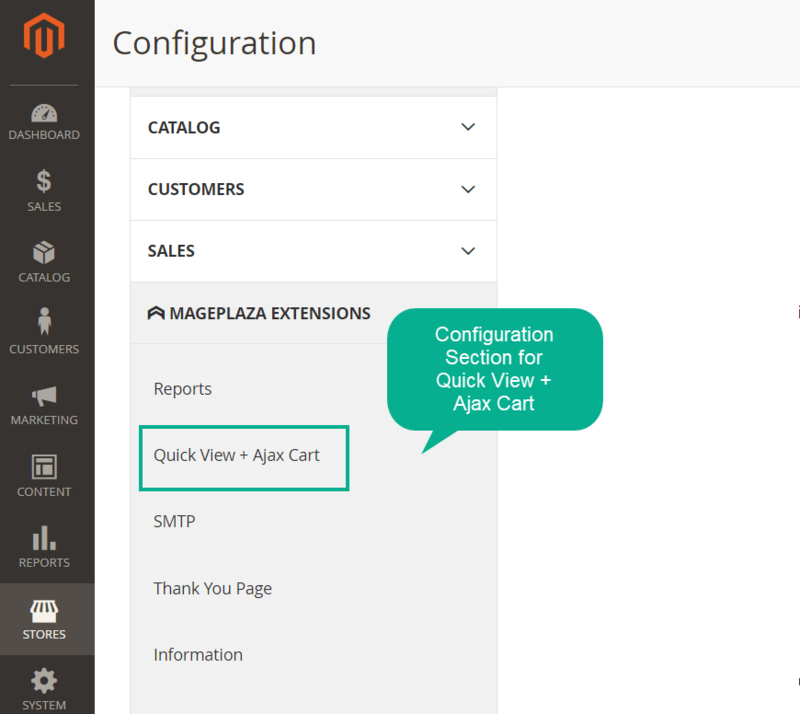 Magento 2 AJAX Cart by Mageplaza is an extension which not only allows customers to preview the information of products faster but also enables them to add the items which they preferred to their carts without having to leave the current site. This solution will help improve the shopping experience of customers and increase conversion rates. Customers like to compare different products directly on the Product Listing Page or Home Page. Therefore, customers want to quickly view the main features of several products before paying attention to some specific products. When customers are shopping, they do not want to be navigated to another site whenever they add items to their shopping cart. Customers want to customize the attributes of selected items in their carts without having to go back to Product Pages. Customers would feel inconvenient and impatient if they have to wait so long for new pages such as Product Detail Page or View Cart Page to be loaded. On Default Magento 2, the function existing interfaces are monotonous and unappealing. 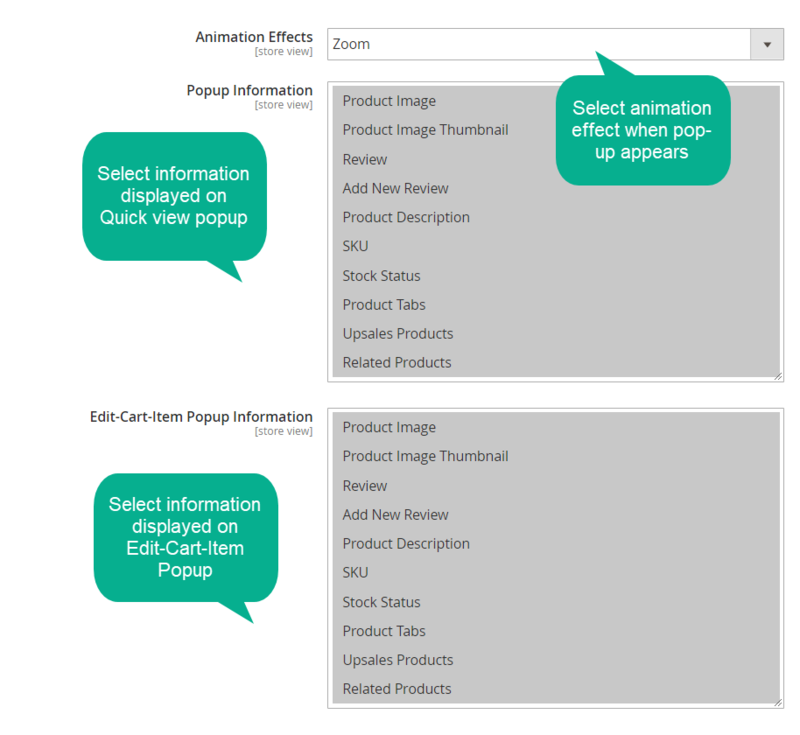 Customers can quickly view the details of products without leaving the current page by using A Product Detail Popup. By using an Add-to-Cart Popup customers are able to add products to their cart while still continue shopping. A Review Cart Popup can be used to display the updated cart information such as quantity or subtotal to customers. 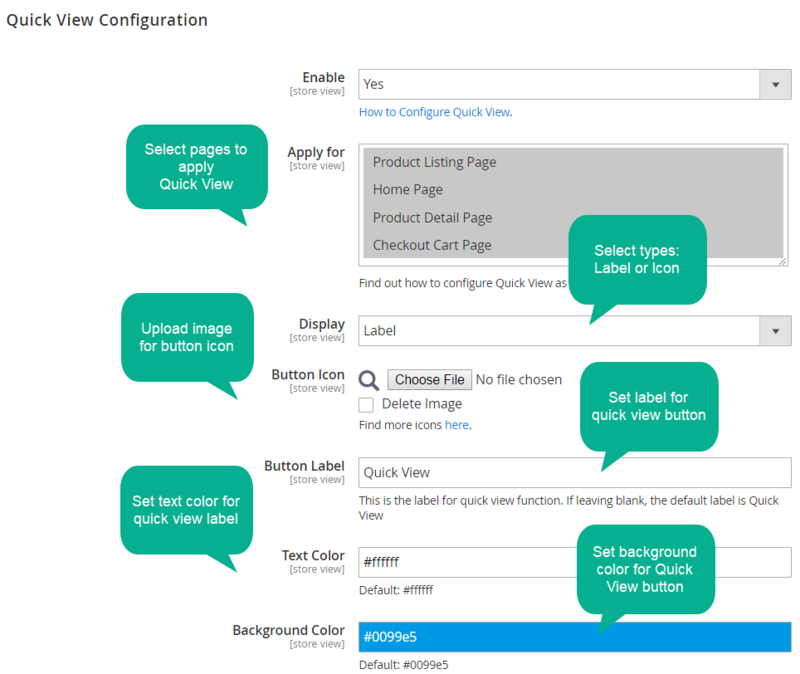 Enable selecting the attributes of an item quickly without leaving the current page through a popup. Improve the customer experience by adding more animation effects and color to function buttons. AJAX is the advanced technology to helps cut down a deal of time on whole-page loading, which creates inconvenience and annoying feeling towards the users. Instead, the server only loads the chosen components appointed by customers and takes no action to the others. With the application of AJAX technology, this extension ensures to enhance customer experience on a user-friendly shopping site significantly. AJAX supports customers to place the favorite items quickly and conveniently without being redirect to another page. Now customers can conveniently add their preferred items to Wish List or Compare List easily and conveniently thanks to Ajax support. Via just a click on icon Add to Wish List or Add to Compare, the item is already put in the list while the customer is still kept on the current shopping page. A notice will appear to notify them after adding successfully. 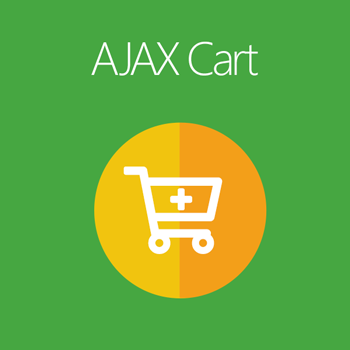 The noticeable function of Mageplaza AJAX Cart extension is quick preview function. Customers do not leave the current site and view product information via pop-up. They can make comparison quickly before making the purchase decision. Besides, customers can edit product attributes easily to add to their cart instantly on the pop-up. This feature intends to save time and bring convenience to customers. Various effects are included to make the site look more lively and attractive. With pop-up, there are various opening stypes such as zoom, newspaper, horizontal move, move from top. Meanwhile, when customers AJAX add an item to the cart, the item will fly to Minicart very impressively thanks to the eye-catching effect. Store admins can easily design the pop-up appearance to match well with the store themes. The combination of suitable content, eye-catching color, and animation effects can definitely make the pop-up become more appealing, which enhances the experience of customers significantly during their shopping. The Quick View button can be set up as a widget to place anywhere on your site. Set time when the Add to Cart popup will be displayed after customers click on it. Well compatible with all devices such as mobiles, desktop, tablets, and other screen sizes. Set the restriction time to display Add to Cart popup after being clicked on. Design Quick View widget and place at any place on site. filter_drama Is AJAX extension has two main features? Yes, it is. This is a mixture extension which not only allows customers to preview the information of products faster but also enables them to add the items which they preferred to their carts without having to leave the current site. filter_drama Can I design my own Quick View button? Yes, surely. From the admin backend, you can use the current label or upload the new icon for Quick View. Then, you can set the text color, background color. filter_drama I want to make Quick View to become more lively. How can I do it? Well, you can add more animation effects. The extension offers a variety of effects including zoom, newspaper, horizontal move, move from top, 3d unfold, zoom out, etc. filter_drama I don’t know what AJAX Cart is? 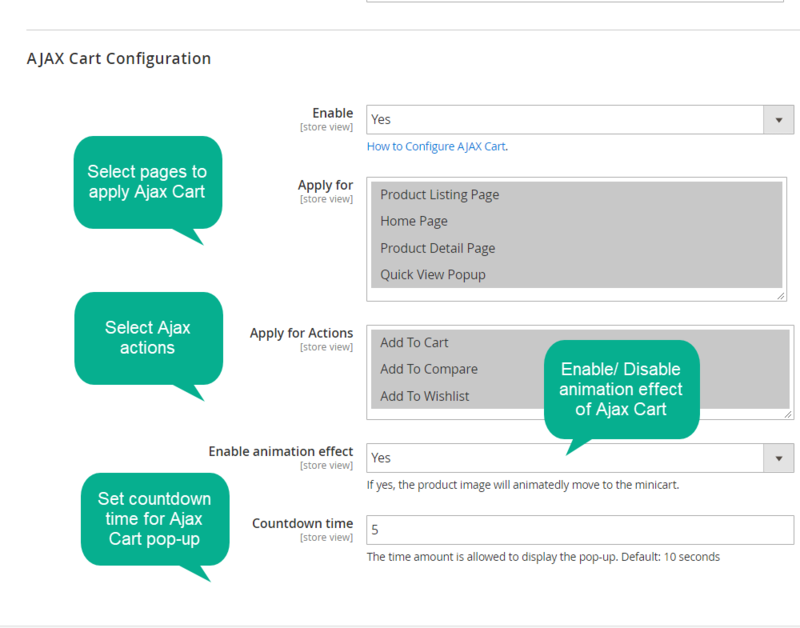 AJAX Cart for Magento 2 allows a pop-up to appear whenever you click Add to Cart. You can then pick quickly product to add to cart, wishlist or compare list without being navigated to another page. Once you turn off the pop-up, you can continue shopping on the current page. filter_drama Can I choose product attributes on Quick View popup? Yes, you can select any attributes, quantity that you want for the previewed item directly on the Quick view pop-up. filter_drama Is there any pop-up to quick customize when I edit cart on Shopping Cart page? Yes, there is. Because the pop-up is also supported to customize the chosen items on the Shopping Cart page, you can quickly edit and quickly checkout without being sent to the Product Page.